Jurgen Klopp believes Fabinho's "defensive brain" allows him to slot into Liverpool's rearguard with no problem. 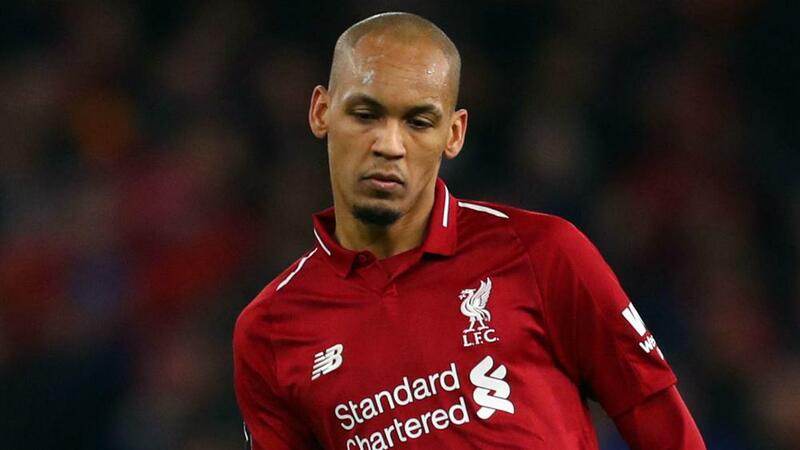 Injuries have left the Premier League leaders short at the back in recent weeks and Fabinho has been called upon to fill in at the centre of defence. The Brazilian midfielder lined up alongside Virgil van Dijk as Liverpool claimed a 1-0 win at Brighton and Hove Albion on Saturday and put on an assured performance as Klopp's side kept a clean sheet. "Fabinho is a brilliant player," said Klopp. "To have a good footballer in that position when you have the ball is great. "It was not one attack after another, we had the ball most of the time. "But Brighton tried to bring the long balls around Glenn Murray, like with Joe Gomez in the home game – but he did well in these situations as well. "He has a defensive brain and can play in a lot of positions."